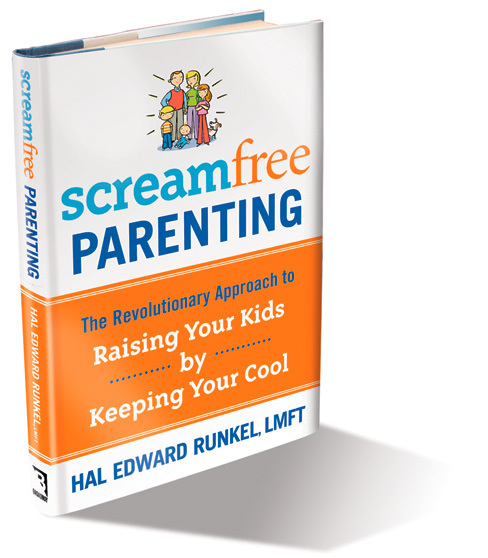 “The ‘Biggest Baby Shower Ever’ will be ScreamFree this year” says National Parenting Expert Hal Runkel, LMFT, creator of ScreamFree Parenting, the breakthrough parenting book released this fall by Broadway Books. why not have our expectant moms become ScreamFree parents right from the start? Big City Moms co-founder and director Risa Goldberg identifies leading-edge and valuable resources for New York City parents, and ScreamFree is one of those resources. Hal Runkel, LMFT, recent Today Show guest and National Parenting Expert, is a featured speaker at this unique event which is designed to provide new and expectant parents with the tools they need for the often challenging job of parenting. ScreamFree is sweeping across the country and is creating calm and peaceful households everywhere, and the Biggest Baby Show moms will learn about ScreamFree from the very beginning. The “Biggest Baby Shower Ever” is an event hosted by Big City Moms, the leading social organization for parents in New York. The event will be hosted at the American Girl Place on October 17th, starting at six o’clock. For tickets and information, visit http://www.bigcitymoms.com. ScreamFree creates revolutionary relationships in companies, organizations and families. Through seminars, national media appearances by the author Hal Edward Runkel, including the Today Show, an interactive website, and it’s new release of the National Bestseller (New York Times) Screamfree™ Parenting: The Revolutionary Approach to Raising Your Kids by Keeping Your Cool, ScreamFree is calming the world, one relationship at a time. Visit http://www.screamfree.com.